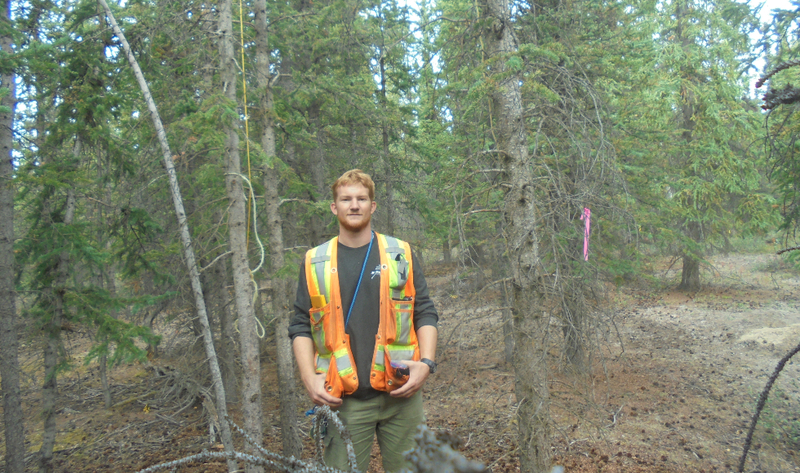 Postdoctoral fellow David Fisher doing field research in the Yukon. The research appears in the Journal of Evolutionary Biology, where lead author David Fisher shows that the increased evolution of selfless traits – such as sharing food and keeping watch for one another – is mathematically equivalent to the decreased evolution of individually beneficial traits. The study of evolution is revealing new complexities, showing how the traits most beneficial to the fitness of individual plants and animals are not always the ones we see in nature. Instead, new research by McMaster behavioural scientists shows that in certain cases evolution works in the opposite direction, reversing individual improvements to benefit related members of the same group. The research appears in the <a href="https://onlinelibrary.wiley.com/doi/full/10.1111/jeb.13432"><em>Journal of</em> <em>Evolutionary Biology</em></a>, where lead author David Fisher shows that the increased evolution of selfless traits – such as sharing food and keeping watch for one another – is mathematically equivalent to the decreased evolution of individually beneficial traits. “They’re two sides of the same coin,” Fisher explains. “On one side, traits evolve that benefit your kin, but don't benefit you, because you’re helping your siblings or cousins. On the other side, traits that benefit you but cost your neighbours don’t evolve, because you’re causing damage to related individuals.” The work is part of the ongoing effort to understand the paradox of altruistic behaviour in the wild, explains Fisher, a research fellow in <a href="https://www.science.mcmaster.ca/pnb/">McMaster’s Department of Psychology, Neuroscience and Behaviour</a>. Fisher goes on to show that another way evolution can go backwards is through the evolution of an individual’s negative effects on neighbours and group members. For example, a fast-growing tree may take all the sunlight, water and nutrients out of the environment, causing its neighbours to grow slowly. In the next generation, more trees are fast-growing but are also nasty neighbours. As a result, negative social effects are much more prevalent, and so everyone’s growth is reduced. “That means evolution has gone backwards. Even though growing quickly is beneficial, because of these negative social effects, the population, on average, grows more slowly,” he says. Fisher plans to travel to Ecuador this summer to study co-operative spiders, and whether changes in individual and group benefits can explain why co-operation diminishes at higher elevations.